Timetable for Air Queensland, 1982. 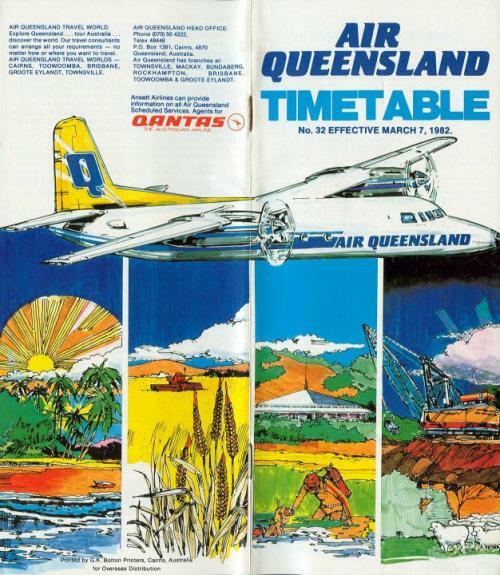 Timetables were more colourful by the 1980s, when Bush Pilots were operating. Collection of Valerie Dennis.